What Makes a Great Dental Assistant? 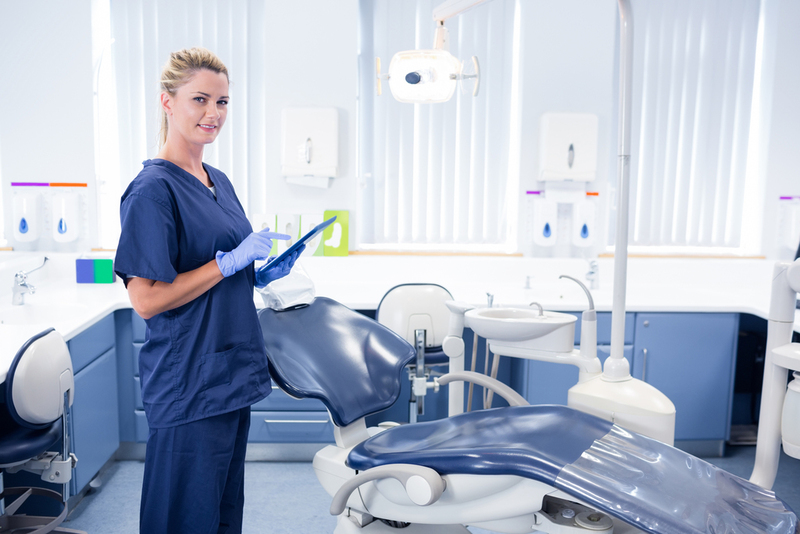 Though it comes with many perks, dental assisting is not an easy job- dental assistants have to perform many tasks throughout the day that require a sharp mind and a keen eye for detail. Whether you’re a dentist trying to figure out what skills to look for before hiring a new member of your dental team, a dental assistant looking to improve the quality of your work, or someone considering a future career in dental assisting, these five skills can help you succeed in the dental world! Organization. By staying organized with paperwork and procedures, you can guarantee success in your dental office. The best dental assistants anticipate the needs of both doctor and patient, and take steps to ensure that everything is prepared prior to starting a procedure by making sure the treatment room is presentable and properly outfitted, the physician’s equipment is sterilized and ready to use, and the patient is informed and comfortable. Stellar dental assistants keep meticulous patient records, and are able to prioritize daily tasks without letting important details fall through the cracks. Remember, dental assistants have a lot of different responsibilities– so if you have trouble remembering all of your duties, making a daily to-do list can help you effortlessly improve your work routine. Consideration. A great dental assistant is caring and courteous to their coworkers and their patients. Going to the dentist is a huge source of anxiety for many people. By being kind and considerate, you can make patients feel much more at ease during their visit. After a procedure, demonstrating thoughtfulness can be as simple as offering a patient a mirror or something to wipe their face with, and making sure that they know who to contact later on in case they have any questions or concerns. Be empathetic, and try to understand others’ needs. Put other people first every once in a while; just remember not to do so at the expense of your own mental and physical well-being. Motivation. Is an integral part of success in any job, and as a dental assistant, that motivation can be demonstrated in numerous ways. 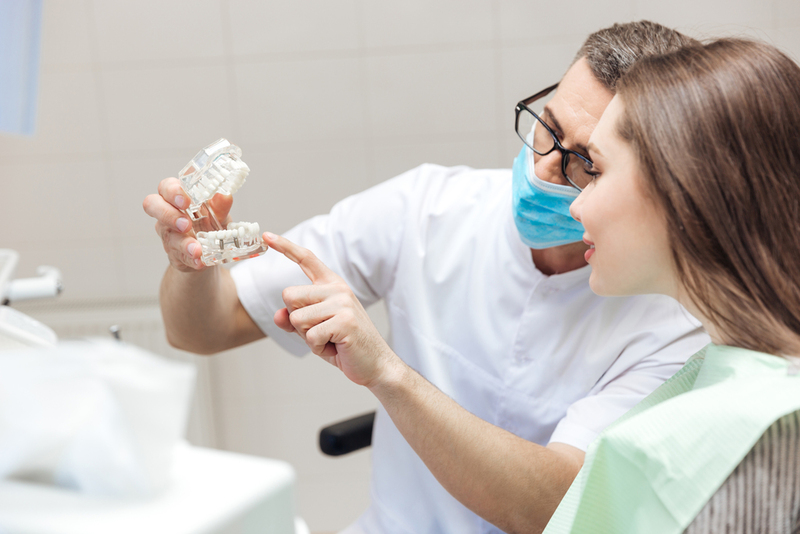 A great dental assistant predicts the physician’s next move and readies themselves for it; they also make a conscious effort to educate themselves about new and current dental procedures. To become an indispensable asset to your office, be proactive about patient care, and try to foresee where your skills could help others. If you make an effort to regularly learn new things about your field both in and out of the office, your job will feel more interesting and professionally fulfilling to you, too! Professionalism. Is a must in any professional setting, particularly in the medical field. In a dental assisting career, displaying professionalism is a necessity from the first interview- and it’s equally important on the job. That means you should dress neatly and appropriately for the workplace, be punctual, and display a good-natured, professional mentality. Respect professional boundaries, and be aware of practice protocols regarding confidentiality. Professionalism is often intuitive. Use your best judgement, and remember that a poor attitude doesn’t just affect you- it also reflects on the practice that you work for. Communication. Is crucial in any dental office; if a staff is going to work well together, every member of the team needs to be heard. That’s not possible unless everyone speaks up! As a dental assistant, the ability to state feelings both professionally and effectively is vital. By communicating clearly, you’ll always know everyone on your team is well informed and can easily address any issues. As an added bonus, communication skills will help you enormously with patient care. A friendly, forthcoming dental assistant can go a long way in ensuring patient satisfaction- and create repeat clientele!